Oxygen is expanding their true crime catalog. Recently, the network ordered 10 new TV shows, including Price of Duty, Abuse of Power, and The Mark of a Killer. Oxygen’s new programming lineup also features the U.S. premiere of Serial Killer with Piers Morgan, an event series that “will be built around Piers’ chilling face-to-face interview with a killer” each episode. 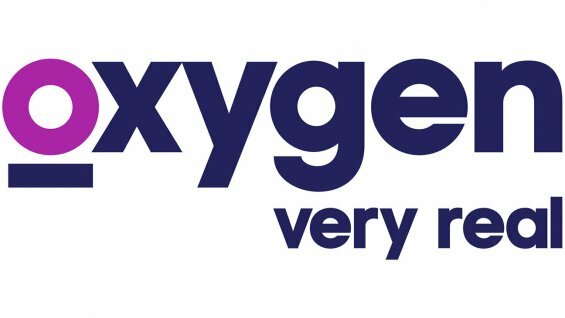 New York, NY – April 9, 2018 – Oxygen Media, the home for quality true crime programming, is aggressively expanding its original series slate with 10 new greenlights and the US premiere of a Piers Morgan event series, it was announced today by Rod Aissa, Executive Vice President, Original Programming and Development, Oxygen Media. In 2017, Oxygen rebranded to a fulltime true crime destination and quickly became one of the fastest growing networks in cable behind such hits as “Cold Justice” “The Disappearance of Natalee Holloway,” “Dahmer on Dahmer: A Serial Killer Speaks” and “Aaron Hernandez Uncovered,” which all set ratings records for the network. This year, the two-part “Aaron Hernandez Uncovered” became the most watched true crime program in the history of the network, reaching 4.4 million total viewers and 1.9 million P18-49 across all airings during its premiere weekend on Saturday, March 17 and Sunday, March 18. This propelled 1Q18 to be Oxygen’s most watched quarter in seven years among total viewers in total day, and March 2018 to be the network’s most watched month in six years among total viewers in total day. In addition, Oxygen.com continues to be the #1 most popular website dedicated to crime. What do you think? Do you enjoy true crime shows? Will you watch any of Oxygen’s new TV series? More about: A Wedding and a Murder, A Wedding and a Murder: canceled or renewed?, Abuse of Power, Abuse of Power: canceled or renewed?, Buried in the Backyard, Buried in the Backyard: canceled or renewed?, Cult of Killers, Cult of Killers: canceled or renewed?, Dying to Belong, Dying to Belong: canceled or renewed?, In Defense Of, In Defense Of: canceled or renewed?, License to Kill, License to Kill: canceled or renewed?, Oxygen TV Shows: canceled or renewed?, Price of Duty, Price of Duty: canceled or renewed?, Serial Killer with Piers Morgan, Serial Killer with Piers Morgan: canceled or renewed?, The Disappearance of Crystal Rogers, The Disappearance of Crystal Rogers: canceled or renewed?, The Mark of a Killer, The Mark of a Killer: canceled or renewed? I missed the first show, I thought it was on Monday. Is there any way I can see it?